You can find inspiration in the strangest places. You overhear a conversation on a train and it gets you thinking. You watch a movie, and a cheesy line from a b-grade celebrity brings you to tears. Heck, even a carefully-crafted insurance ad can prompt you to rethink major life decisions. And sometimes, you find inspiration much closer to home. 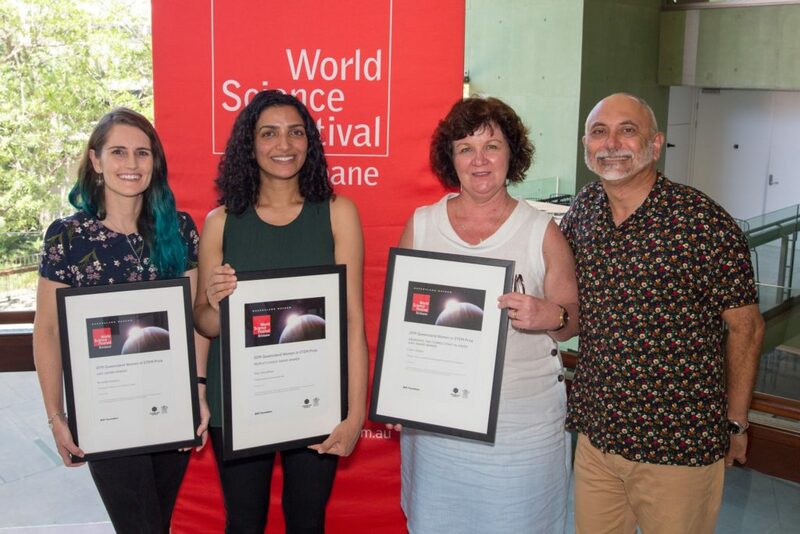 When Dr Anu Choudhary received the Queensland Women in STEM Prize last week, it suddenly struck her that her greatest inspiration, her biggest mentor, is her science-loving mother. Anu Choudhary is a molecular biologist in our Brisbane lab. She’s researching ground-breaking ways to weed out weeds, without having to use herbicides. Her love of science is many generations deep. In fact, some might say that studying genes is … well … in her genes. Anu Choudhary, a molecular biologist with CSIRO, recently won a Queensland Women in STEM Prize. Can you inherit a love of science? It’s the 1970s, and Anu’s grandfather is a Operation Theatre attendant at the hospital in his remote Indian village. Anu’s mother, a young girl at the time, is always following her father around the hospital. She’s fascinated by medicine and the people her father meets. She wants to be a doctor. But, in a few years time, when it comes to choosing her senior subjects, she’s crestfallen. Biology—her favourite class—isn’t offered at her village. It’s taught at a neighbouring village, but she can’t travel alone because she’s a girl. Anu’s mum ends up taking languages and arts, but her passion for science never wanes. Anu Choudhary graduated with a PhD in genomics and molecular biology. She’s now working on agricultural weeds in our Brisbane lab. 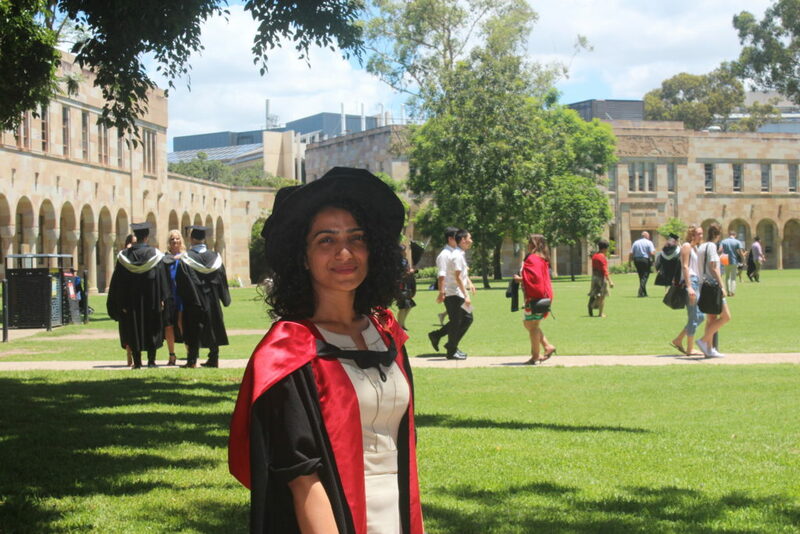 Anu moved to Australia to start a PhD at the University of Queensland, finishing in 2015. For her, it was “one of the best times”. “It was a big lab with people from every corner of the world, it was really multicultural. 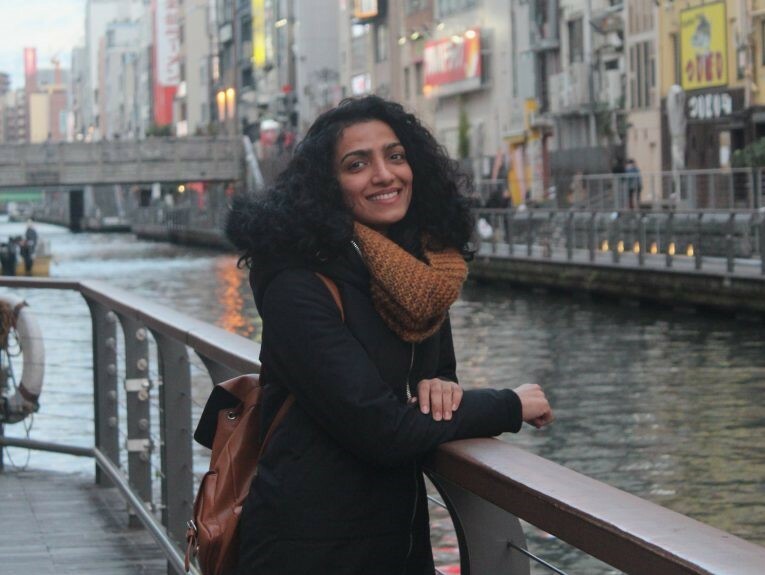 As my first time out of India, it was eye-opening in so many ways,” Anu explains. During her PhD, Anu studied micro-RNA and the non-coding regions of the human genome. Her team was surprised to find a lot of information in RNA that people didn’t know about, just because RNA “is dismissed as junk”. Her PhD was commended with the Dean’s Award. After working on a fascinating project, and having such a good time in the lab, this award was “the cherry on top”. When it came to job searching, Anu found a role as Postdoctoral Fellow in vaccine research, based at our Australian Animal Health Laboratory (AAHL) in Geelong. “I was looking for a deeper meaning to my work: more than a paper published. I wanted a job where I knew that someone would benefit from my work,” Anu said. After a few years studying animal vaccines, she returned to Brisbane in 2018 to begin her—drumroll please!—award-winning weed work. How do you make weeds less ‘weedy’? Anu Choudhary’s research hopes to target crop weeds like paradoxa grass (Phalaris paradoxa), that’s a pest in crops, rotation crops and pastures in Australia. 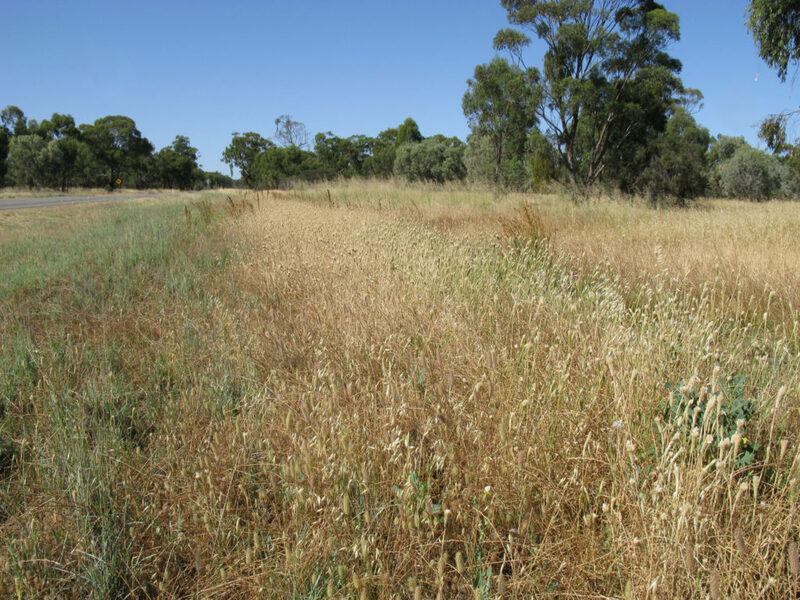 Weeds costs Queensland alone a staggering $600 million annually. And each year, across Australia, weeds destroy enough food to almost feed 3 million people. That’s a lot of lost food, in an ever-growing, ever-hungry world. So Anu is trying to make weeds less … weedy. She does this by using gene-editing technology. Anu uses fast and precise genetic tools that awaken the sleeping bit of a weed’s DNA, called domestication genes. A weed like paradoxa grass, for instance, can shed thousands of seeds in Autumn, and this reduces crop yield by 40 per cent. Anu’s goal is to switch off this ‘seed-shedding gene’ so that the seeds stay firmly attached to the weed, leaving the weeds to be harvested and destroyed. 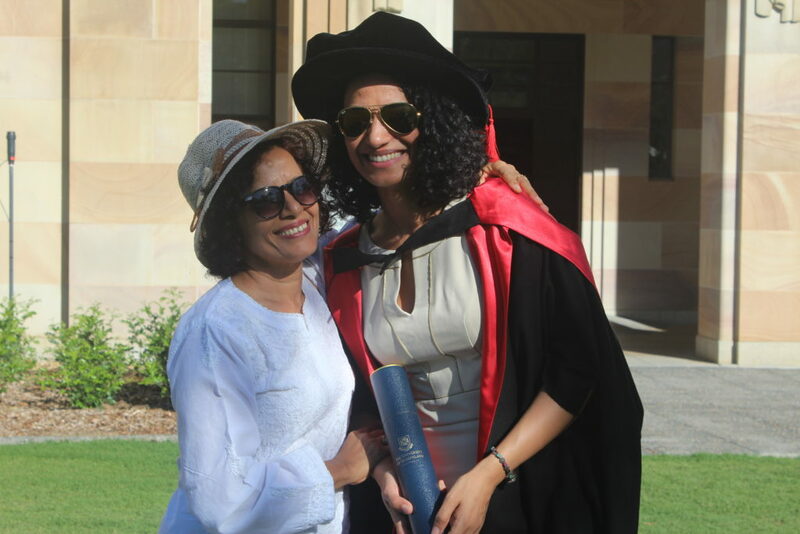 Anu Choudhary and her mum, Kamlesh, at her PhD graduation, at the University of Queensland in Brisbane. When Anu’s not silencing genes, she’s sharing stories about science and the wonderful world of STEM. She has run science workshops for kids at low socio-economic schools in regional Australia. She started the Pint of Science events in Canberra. And she’s especially proud to be an ambassador for women and girls in STEM. But Anu will need to hang up her lab coat for a little while. She’s going to be a mum in six week’s time. And she’s having a little girl. We wonder if she will inherit her family’s love of science. Curious about our weedy work?